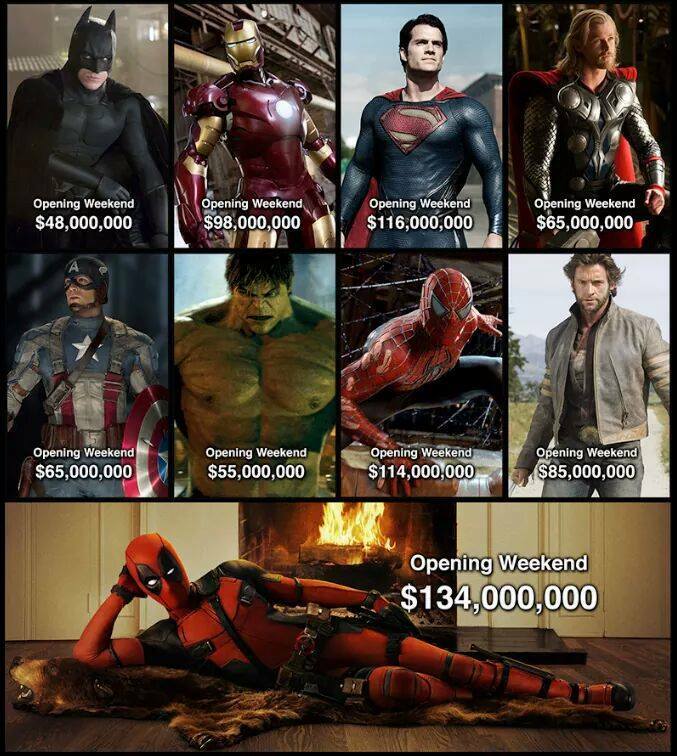 If he didn't it wouldn't be Deadpool. Great movie, literally a game-changer. incoming clones in 5 .. 4 .. 3 ..
the marketing team behind this was pretty full on. Awesome accomplishment. The R rating has become commercially viable again.